Preview images for the Marvel's Agent Carter episodes "Life of the Party" and "Monsters"
ABC is showing two back-to-back episodes of Marvel’s Agent Carter tonight (February 16). “Life of the Party” airs at 9PM, and while we have posted some photos from this one before, ABC has now released some more. In that episode, when Peggy realizes she cannot save Wilkes on her own, she turns to her most unexpected adversary for help while Whitney makes a move to control the deadly Zero Matter. The 10PM episode is called “Monsters.” As Peggy plots a rescue mission, Whitney hunts for even more dark power; and Jarvis learns he should not make promises he cannot keep. You can find photos from both of the episodes below. Marvel’s Agent Carter stars Hayley Atwell as Agent Peggy Carter, James D’Arcy as Edwin Jarvis, Enver Gjokaj as Chief Daniel Sousa, Wynn Everett as Whitney Frost, Reggie Austin as Jason Wilkes, and Chad Michael Murray as Chief Jack Thompson. Guest starring in “Life of the Party” are Currie Graham as Calvin Chadwick, Lotte Verbeek as Ana Jarvis, Bridget Regan as Dottie Underwood, Kurtwood Smith as Vernon Masters, Josh Latzer as guard, Hayley McCarthy as Melody, John Kerry as Mortimer Hayes, Ray Wise as Hugh Jones and Casey Sander as Thomas Gloucester. Guest stars in “Monsters” are Lotte Verbeek as Ana Jarvis, Bridget Regan as Dottie Underwood, Christopher Allen as Agent Ryan, Kurtwood Smith as Vernon Masters, Ken Marino as Joseph Manfredi, Matt Braunger as Dr. Samberly, Arielle McFadden as nurse, Tom T. Choi as Doctor Chung and Myles Grier as man. 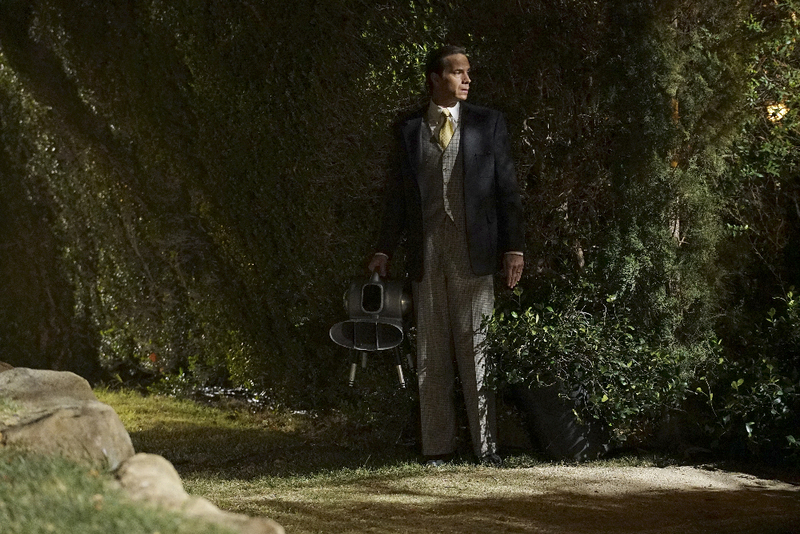 Come talk about Agent Carter on our forum for the show!